Put down whatever you’re doing and look at Mandy Moore’s wedding photos. 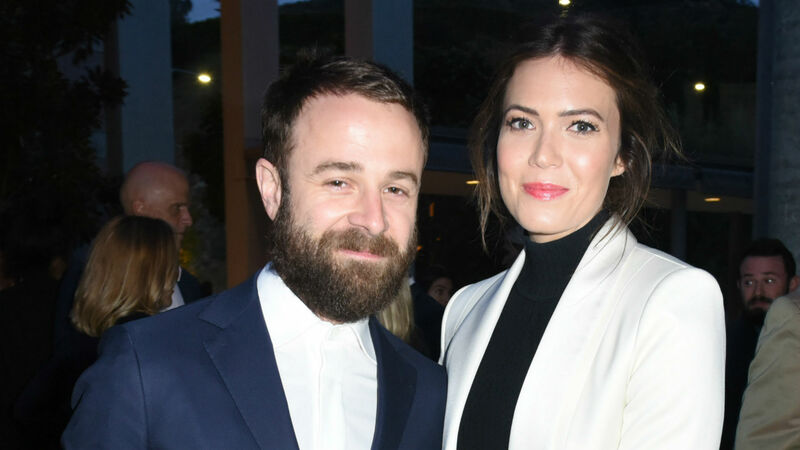 On Tuesday, the actor Instagrammed a series of new images from her wedding to musician Taylor Goldsmith. As you can probably imagine, the pictures, which were taken by photographer Kelly Brown, are absolutely stunning. Moore has seriously never looked happier than she did at her wedding to Goldsmith. Well, as you can see below, it was definitely a boho dream with feathers, flowers, rugs and only those near and dear to Moore’s and Goldsmith’s hearts present for their big day. Moore and Goldsmith’s wedding was extremely small and intimate, which is exactly what she wanted. In the past, Moore made it clear her wedding to Goldsmith wouldn’t be anything extravagant. You know, just like her This Is Us character Rebecca’s wedding with Jack Pearson at the courthouse. It sure looks like Moore got the exact kind of wedding she wanted. Oh, and if you haven’t seen yet, she and Goldsmith even sang together after the ceremony. You can watch part of their sweet duet below. Overall, Moore and Goldsmith seem to have had the most perfect wedding day. They really do make the sweetest couple and are clearly head over heels in love with one another.